Jeffrey Owen Hanson (b: 1993) is an award-winning, philanthropic artist on a mission to change the world through art. 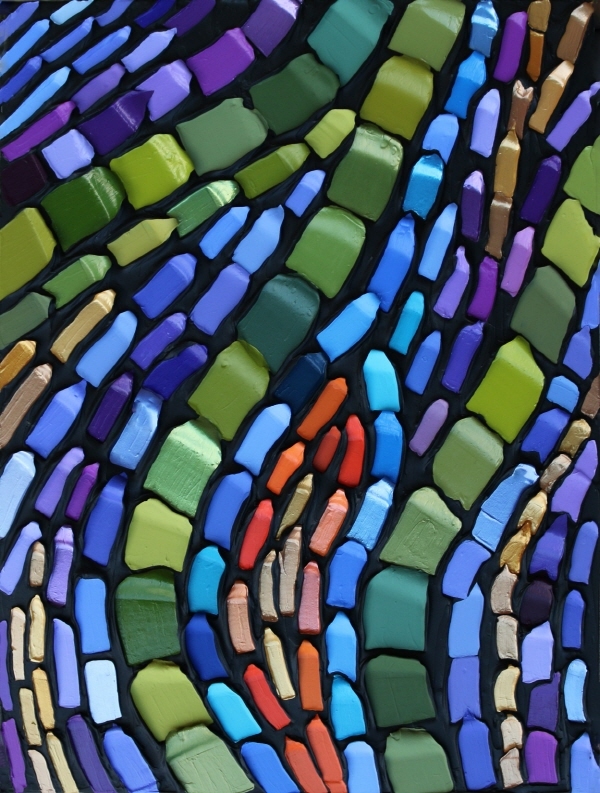 Visually impaired since childhood from neurofibromatosis, Jeff's acrylic-on-canvas works employ bold color and heavily sculptured texture to create an unmistakable signature style. Self-taught as an artist, Jeff first began painting while undergoing chemotherapy at age 12. Despite his limited vision, he continues to create brilliant artwork—a sight for sore eyes,he calls it. Jeff's paintings hang in the homes of art collectors across the globe--including Sir Elton John and Warren E. Buffett and many others touched by Jeff's philanthropic soul and unique style. 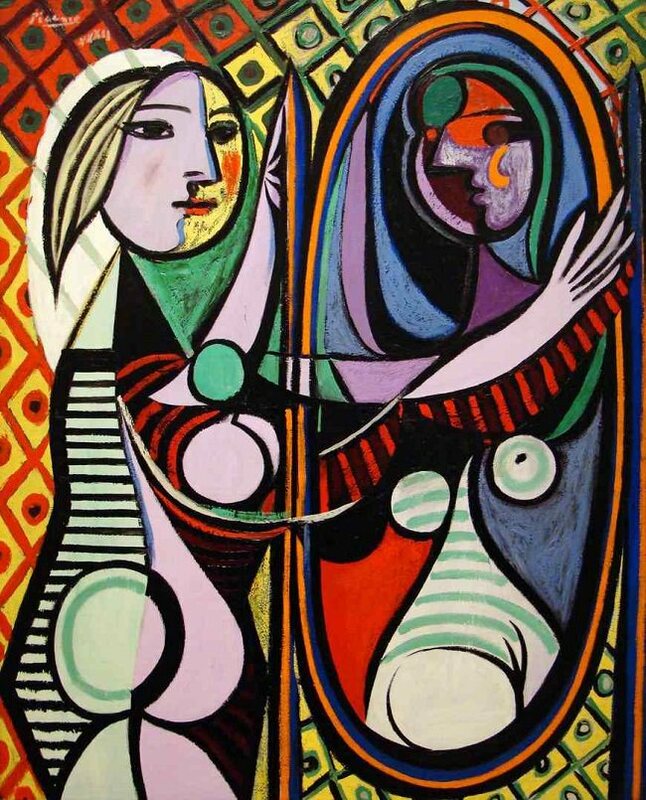 Girl before a Mirror is a painting by Pablo Picasso and considered to be one of his masterpieces, the painting has elicited varied interpretations of this portrait of Picasso's lover and her reflection. 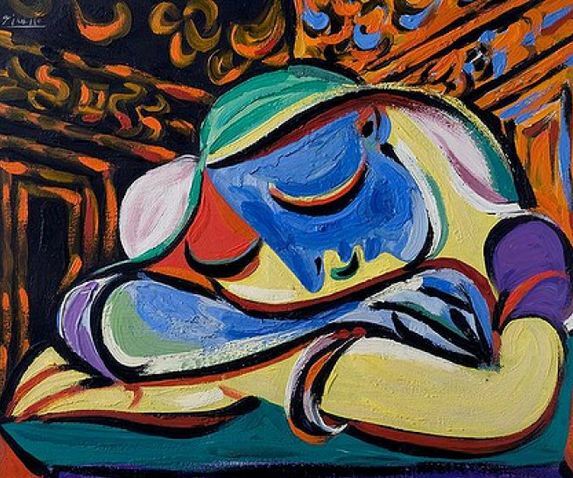 The brightly colored, 22-inch-high canvas, painted on Dec. 4 in the same year as masterpieces such as “Guernica” and “The Weeping Woman,” was a head and shoulders study of Picasso’s mistress and muse, Marie-Thérèse Walter, whom he had met in Paris 10 years earlier. 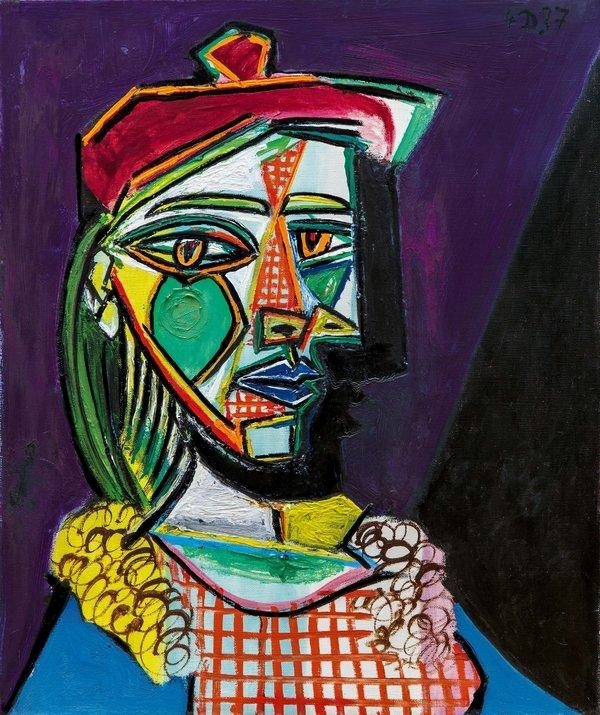 By 1937, Ms. Walter had given birth to Picasso’s daughter Maya, and was competing for the artist’s attention with Dora Maar, the model for “Weeping Woman.” -summarized from the NY times https://www.nytimes.com/2018/02/28/arts/design/picasso-painting-sothebys-69-million.html.